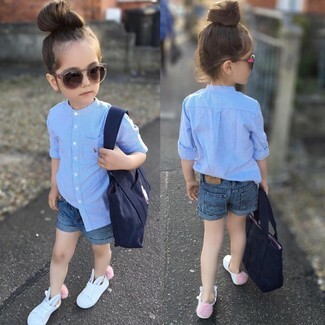 Suggest that your mini fashionista opt for a light blue long sleeve shirt and blue denim shorts for a glam and trendy getup. White sneakers are a great choice to finish off this look. 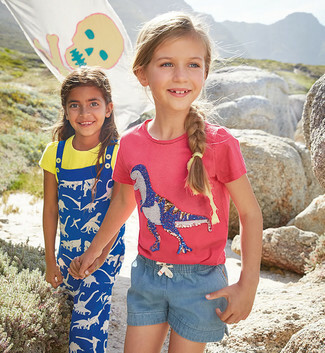 Suggest that your little princess opt for a blue denim jacket and Il Gufo frayed light cotton denim shorts for a comfy outfit. As far as footwear is concerned, suggest that your darling go for a pair of tan sandals. 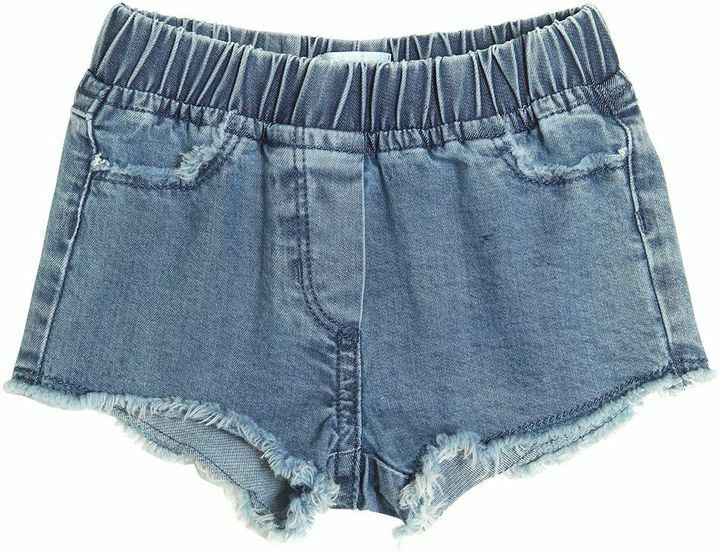 Your kid will look extra cute in a grey t-shirt and Il Gufo frayed light cotton denim shorts. This ensemble is complemented well with red sneakers. Reach for a green long sleeve t-shirt and Il Gufo frayed light cotton denim shorts for your little princess to create a cool, stylish look. Dress your little girl in a grey sweater and Il Gufo frayed light cotton denim shorts from LUISAVIAROMA for a beautiful casual get-up. As far as footwear is concerned, suggest that your girl go for a pair of black boots. 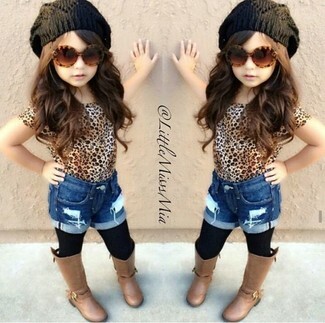 Suggest that your daughter opt for a tan leopard t-shirt and Il Gufo frayed light cotton denim shorts from LUISAVIAROMA for a comfy outfit. As far as footwear is concerned, let your girl choose a pair of brown boots. 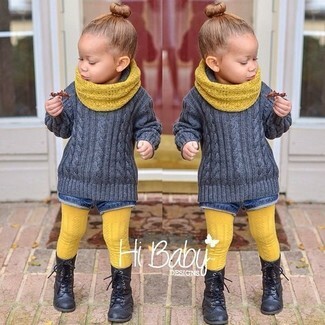 Help your tot look fashionable by suggesting that she dress in a brown cardigan and Il Gufo frayed light cotton denim shorts from LUISAVIAROMA. Brown uggs are a savvy choice to round off this ensemble. Suggest that your girl choose a grey sweater and Il Gufo frayed light cotton denim shorts from LUISAVIAROMA for a comfortable outfit that's also put together nicely. This outfit is complemented well with black sneakers. Suggest that your kid opt for a hot pink embellished t-shirt and Il Gufo frayed light cotton denim shorts for a comfy outfit.